Dubai, UAE, April 07, 2019: V-Twist, iconic, fun, unexpected and surprising. 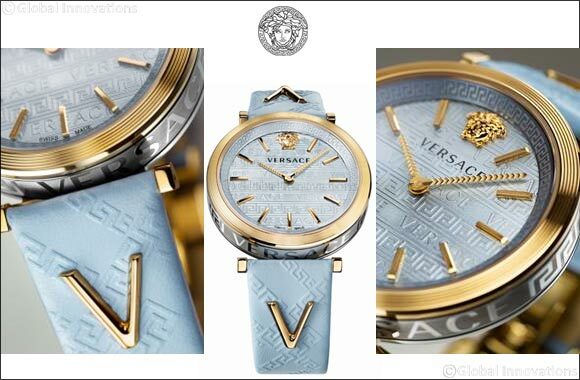 Versace V-Twist captures sophisticated femininity and timelessness. The case middle bears the Versace lettering surrounding a Greca border. The dial is reminiscent of the leitmotif that is the logo and the Greca border, decorated with a 3D Medusa at 12 o'clock. A stylized version of the Greca is also embossed on the leather strap, embellished with two V and the Medusa on the loop. Versace V-Twist is available in 8 styles.